Holly Shaw: A Closet Purge. And The Judds. A Closet Purge. And The Judds. I wish I had something more exciting to report than the fact I attempted to clean up our closet this weekend. But look, I have blurry photos to document the disarray and disorder. The bad news is I had purged and cleaned up my side(s) of the closet almost a year ago and through my oh, I don't know, let's call it laziness (and shopping) the mess took over again. The good news is it didn't take that long to restore some order. Scott worked on his side too and we filled two bags to the brim for Goodwill and one bag for the trash. It felt so good to be ruthless and get rid of clothes and shoes I hadn't worn in a while (and knew deep down that I wouldn't). Why was I keeping that stuff? And? Honestly? There's still a LOT of stuff. But at least it's a bit neater and I can see most of it. I flirted briefly with the thought of moving my long sleeved, fall-ish clothes to an upstairs closet to create more free space, but put that on hold for now. 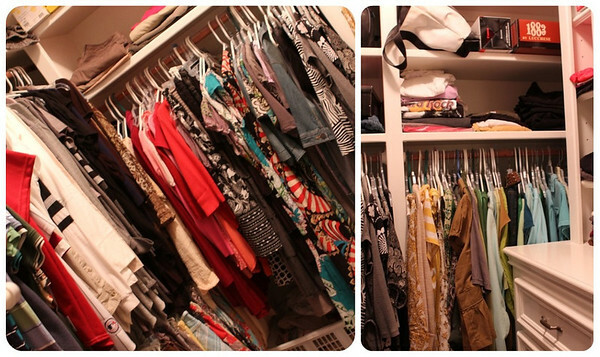 Walking into our closet now feels so much better, it's ridiculous. I sometimes wish I was one of those people who was constantly working on organization but then I'd probably drive myself crazy and might not appreciate the results as much. I think I'm okay with being a spontaneous organizer. 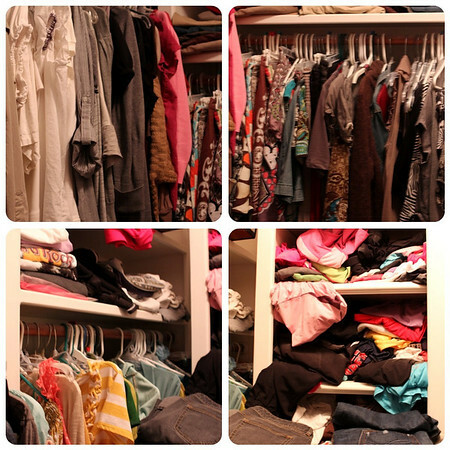 I still need to tackle this side of our closet. It's a hot mess. 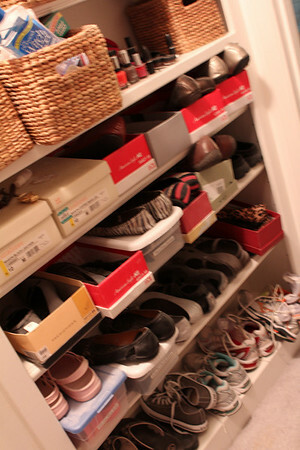 I did purge several pairs of shoes but the baskets and shelves need attention desperately. And I was totally going to tackle it this morning, you know first thing right after my coffee and bible study lesson. Guess who stumbled across The Judds' new reality TV show on Oprah's network this morning and the world as she knew it stopped spinning? LOL I think I would wait until after the Judds too. I am more obsessed with Ashley. I always wondered if she felt like an outsider in the whole relationship. I stayed home sick today and stumbled across the Judds show too and got sucked in too! So interesting! I actually took two days off last week and spent nine hours organizing and purging my basement and one of my closets. I am happy to report my Christmas decorations are put away (yikes!) 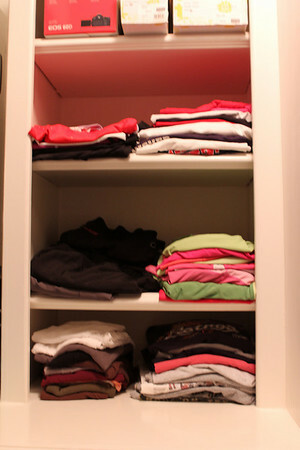 and my spring and summer wardrobe is neatly hung and folded. I am ashamed to say how many clothes I have that I bought on a whim, etc. and have never really worn. Let's just say I filled much more than 2 bags. It does feel good to purge and welcome a new season! And PS - whoot for Friday Night Lights starting this week. I will have finished Season 4 on DVD by then. And where, again, was Scott's side in the closet? LOL I need to do the same thing! I did it before spring and it's a nightmare again.